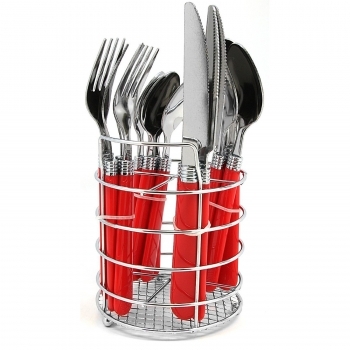 Simplify mealtime and free up drawer space with the 16-Piece Flatware Set with Wire Caddy. 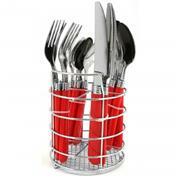 It is made out of stainless steel with handles that are constructed from polypropylene. This dishwasher safe flatware set will also save you time when cleaning up.